(INDIANAPOLIS) - State Rep. Chris May (R-Bedford) (right) welcomes Rev. 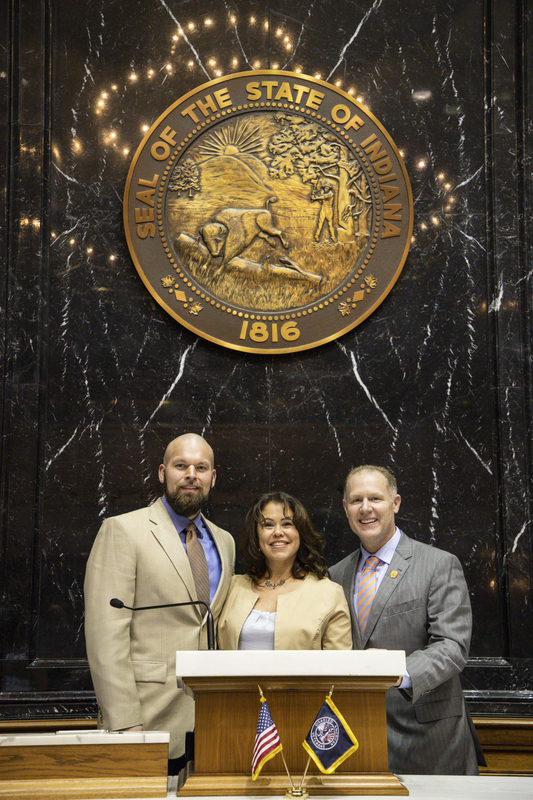 Josh Hibbard (left) and his wife, Michelle Landa Hibbard, to the Indiana Statehouse Monday, Feb. 11, 2019, as part of the Pastor of the Day tradition. Hibbard, the associate pastor of Mount Pleasant Christian Church in Bedford, offered the blessing in the House Chamber before the session began.